It’s Valentine’s Day so I’m going to take this day as an opportunity to be a little mushy and talk about loooooove. More specifically, love and diabetes. 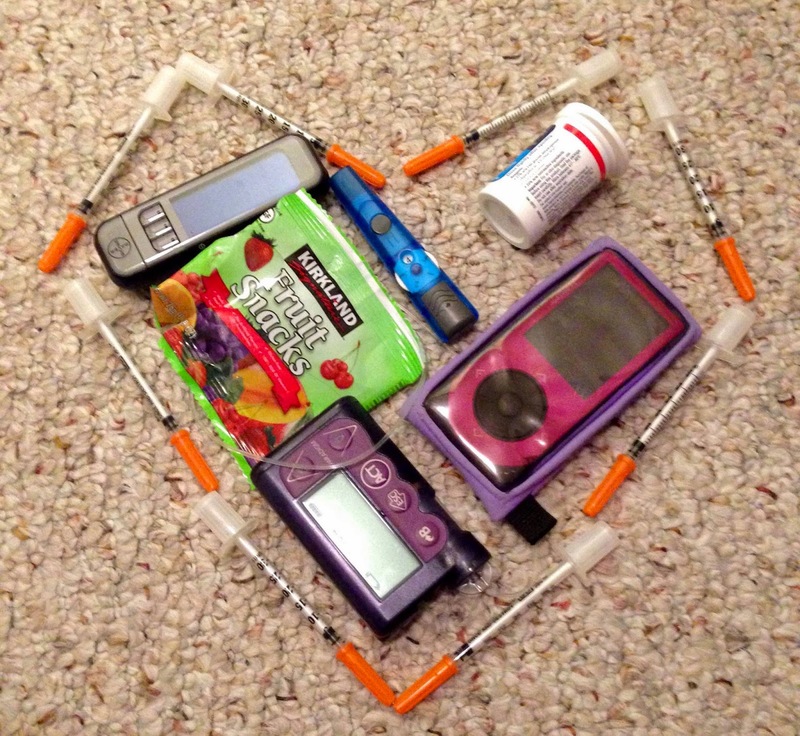 So what does love and diabetes look like? Love is carrying my fruit snacks in your pockets when we go for a run and I have no place to put them. Love is sitting next to me when I’m struggling to insert my CGM sensor because of a previous painful experience and telling me I can do it and everything will be okay. Love is disrupting our date and driving me to my work at 10 pm because I can’t find my meters and I think I left them at my office. Love is buying a box of gushers to keep at your place in case I drop low and don’t have anything with me. Love is hearing my CGM vibrate and knowing just from the pattern of buzzing if I’m high or low. Love is waiting for me to feel better. For being patient and understanding, always. Love is holding me when I drop to 40 and don’t feel well. It’s bringing me water and laying down with me when I’m 350 and feeling sick. It’s being with me when I’m 90 and am not even thinking about my diabetes. Love is getting up and grabbing something to help me treat a low without me even asking. Love is being excited when I show you how good my numbers have been all day. Love is feeling my frustration when they haven’t been. Love is putting up with me when I get snippy because I’m getting hangry and low. Love is sitting down to a home cooked meal and you telling me how many carbs are in the couscous. Beautiful post. And absolutely spot on! !